Access to safe water and sanitation facilities is extremely limited during times of conflict and natural disaster. 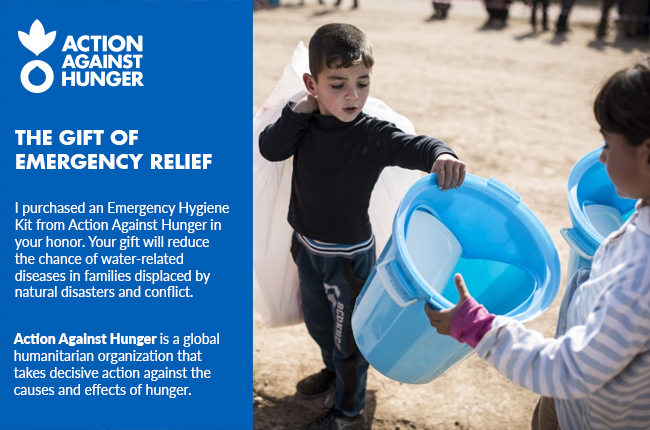 To reduce the risk of water-related diseases, Action Against Hunger distributes lifesaving hygiene kits. Help a family stay safe from disease in times of desperate need.